On a crisp sunny winter day in the land of Madiba and Mahatma, leaders of BRICScountries clasped their hands together at the Sandton Convention Centre, Johannesburg and decided to sculpt a new edifice of reformed multilateral order as a bulwark against rising tides of unilateralism and parochialism. This joint intent to re-shape the global order was telescoped in the imparting of virtual hand impressions at the Cradle of Humankind at Maropeng by leaders of BRICS countries. 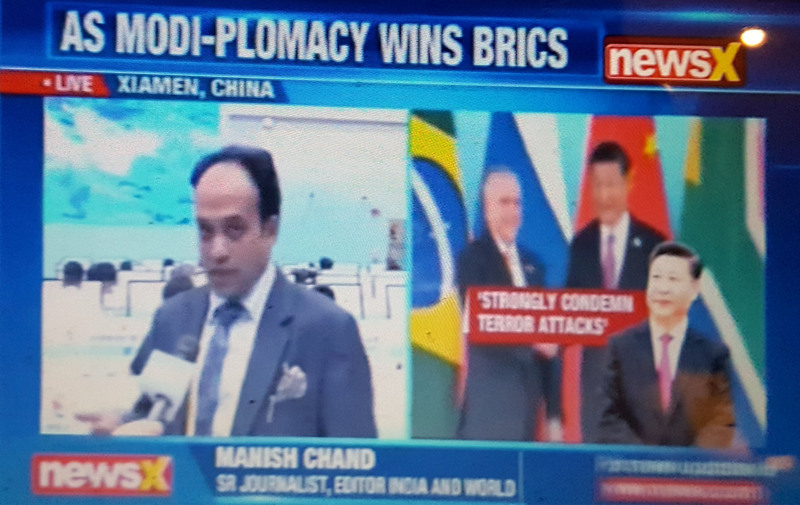 In an interview to AnchalAnand of News X, Manish Chand, Editor-in-Chief of India and World and India Writes Network, decodes the Xiamen Declaration at the BRICS summit for the first time targets terror outfits in Pakistan, forcing China to toe India’s line on the terror issue. The 8th BRICS Summit in Goa marked the 15th anniversary of an idea proposed in 2001. However, BRICS as a grouping has grown into something much wider and deeper in the intervening 15 years. South Africa was added to the group in 2011, enlarging it from four members to five. 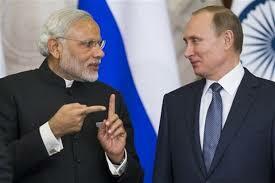 In terms of agenda and areas of interest also, BRICS has had a very successful evolution. What does the future trajectory of BRICS look like? Will it continue to grow in strength and influence? Will some of the strategic competition between the members make it less effective? What will be the impact of the serious economic slowdown on three of the five members? Can BRICS make a lasting contribution in areas like Sustainable Development and Global Governance? These are some of the questions faced by the five countries. A medium and long-term vision is needed to take the group forward. For India, apart from the gains emanating from intra-BRICS cooperation, there is a visible additionality to the country’s global clout. There are areas in global governance where India by itself cannot bring about changes. However, BRICS as a platform has the potential to do this. 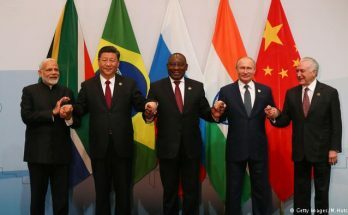 A multi-polar or polycentric world of the future is more likely to have these kinds of groupings as the centres of influence, rather than individual countries, and that is where the value of BRICS lies. HAMBURG: Ahead of the BRICS summit in China, India’s Prime Minister Narendra Modi underlined that the BRICS grouping should play a pivotal role in combating terrorism, addressing climate change and take the lead in fuelling global economic growth. the leaders of the five BRICS countries on the sidelines of G20 Summit in Hamburg, Germany. 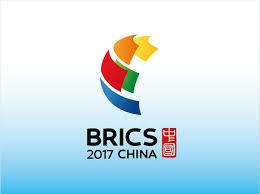 China will host the forthcoming 9th BRICS Summit in September in Xiamen. In his intervention, Mr Modi underscored that BRICS has been a strong voice and needs to show leadership on terrorism and global economy. He added that G20 should collectively oppose terrorism financing, franchises, safe havens, support and sponsors. India’s relations with Bangladesh will get a major boost with the visit of Prime Minister Sheikh Hasina to Goa. Sheikh Hasina is visiting India to attend a summit of the BIMSTEC (Bay of Bengal Initiative for Multi-Sectoral Technical and Economic Cooperation) on the sidelines of the BRICS (Brazil, Russia, India, China and South Africa) summit to be held in Goa on October 15-16. Prime Minister Narendra Modi and Sheikh Hasina are expected to hold a bilateral meeting on the sidelines of the dual summits in Goa on October 16. Sheikh Hasina will be participating in the multilateral forum along with 11 other leaders from BIMSTEC and BRICS countries. Members of BIMSTEC include Bangladesh, Bhutan, India, Myanmar, Nepal, Sri Lanka and Thailand. Amid a note of dissonance over the issue of Russia’s joint military drills with Pakistan, India has voiced confidence that Moscow will reflect on New Delhi’s concerns as it unveiled an ambitious multifarious agenda to galvanize the special and privileged strategic partnership between the two countries. In an attempt to downplay Moscow’s military outreach to Islamabad, India’s ambassador to Russia Pankaj Saran indicated that a specific incident or episode should not be allowed to shadow the India-Russian relationship, which is special in many ways. “It’s not legitimate to reduce the relationship to what happened a few days ago,” Mr Saran said when asked by India Writes Network on whether the Pakistan-Russia joint exercises have cast a shadow over the so-called special and privileged relationship between New Delhi and Moscow. 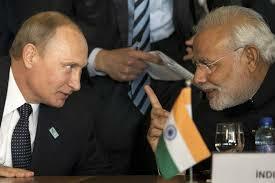 “We have conveyed our concerns to the Russian side. We are confident that Russia will reflect on our concerns,” the Indian envoy told reporters at Taj Exotica Hotel, the venue of the 17thIndia-Russia annual summit and the 8th BRICS summit. Rejuvenating BRICS in Goa: What’s on the agenda? Amid the festering recession in wide swathes of the world and a conflicted geopolitical landscape, India is poised to host the 8th BRICS summit in the picturesque resort city of Goa, which is expected to unveil a raft of new ideas and initiatives,designed to provide an added strategic traction to this influential grouping of emerging powers. India has declared I4C or IIIIC as the framing mantra for the 8th BRICS summit, which includes Institution Building, Implementation, Integration, Innovation, and Continuity with Consolidation.In a deft word game, the BRICS acronym has been reinvented, with the overarching objective of “Building Responsive, Inclusive and Collective Solutions” to pressing global challenges. 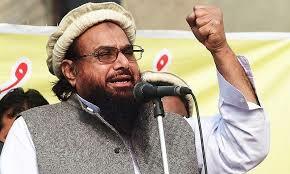 In a boost for India’s drive to expose Pakistan’s role in fomenting terror, the US has launched a blistering attack on terror impresario Hafiz Saeed, the virulently anti-India suspected mastermind of the Mumbai carnage, and endorsed India’s surgical strikes against terror camps in Pakistan-Occupied Kashmir. Washington’s indictment of Pakistan comes ahead of the BRICS summit in Goa where India will focus on getting the support of emerging powers for pressuring Pakistan to abandoning cross-border terrorism. The message to Islamabad was clear: stop sheltering terrorists and punish the perpetrators of the 26/11 attacks.